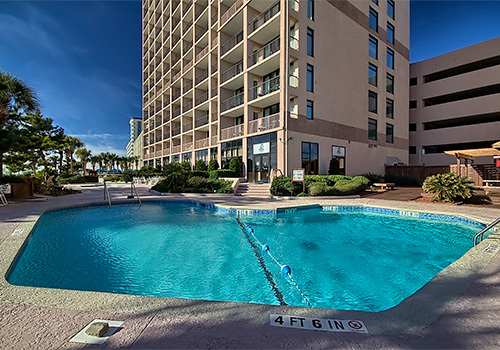 Located on the Grand Strand, the Beach Colony Resort offers beachfront accommodations just 3 miles from the Myrtle Beach Boardwalk and Ripley’s Aquarium. Guests can enjoy comfortable guest rooms featuring picturesque ocean views and TVs with DVD players. 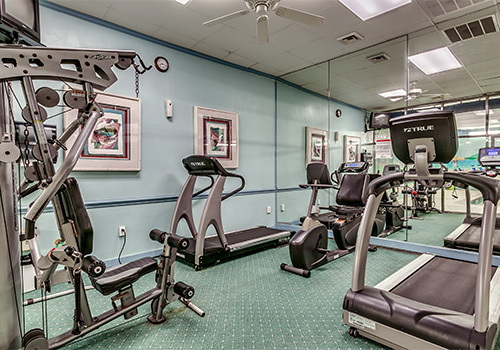 Amenities include property-wide Wi-Fi access; indoor and outdoor pools, whirlpool spas and a lazy river; an exercise facility; and more. 3 miles from Broadway at the Beach. 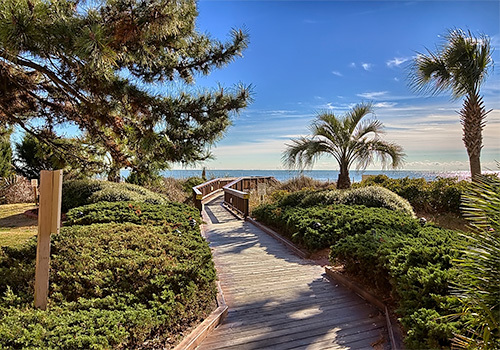 7.1 miles from Myrtle Beach International Airport. 3.8 miles from Boardwalk and SkyWheel. 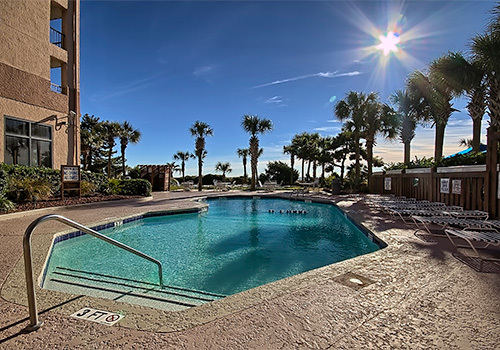 Beach Colony Resort, located oceanfront in the exclusive north-end section of Myrtle Beach, is the perfect location for families, friends and golfing getaways. 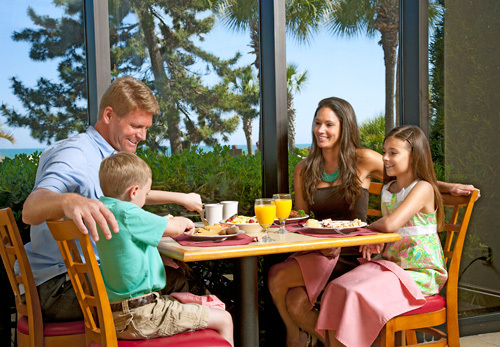 Relax in spacious accommodations with free wireless Internet, DVD players and beautiful views of the blue Atlantic. The deluxe accommodations and outstanding amenities create an atmosphere of luxury at an unbelievable price. Please note the maximum number of adults and children allowed in unit under room layouts. 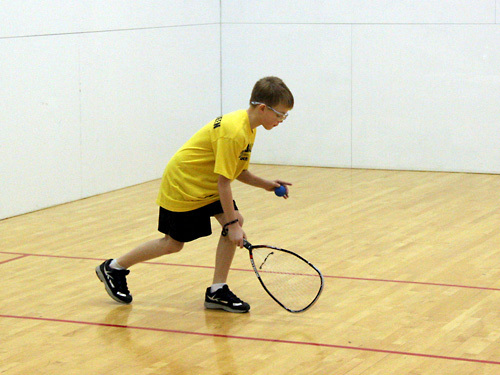 Add $10.00 per day for each additional adult. 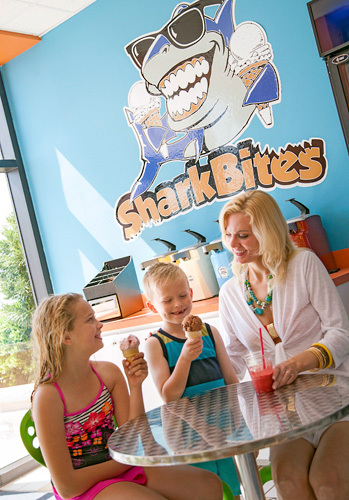 Resort fee and booking fee will be paid upon check-in. 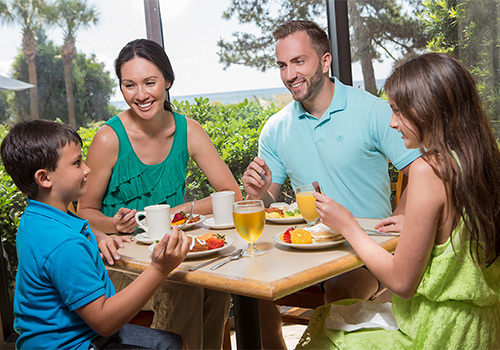 How many rooms are available at Beach Colony Resort? There are 215 rooms are available at this property. 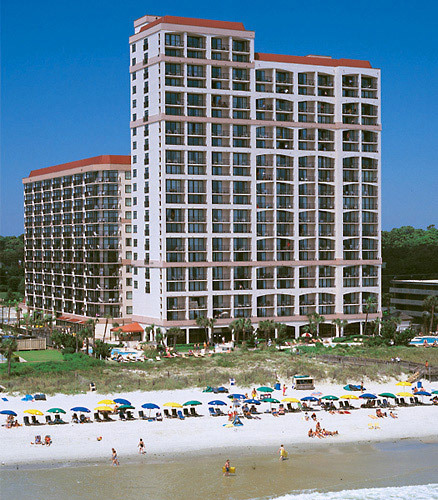 How many buildings comprise your units at Beach Colony Resort? There is one main building at the resort with the highest tower reaching a height of 22 stories. Yes, the Ocean Internet Café serves a breakfast buffet daily from 7am-11am, and there are also three computers for guest use. 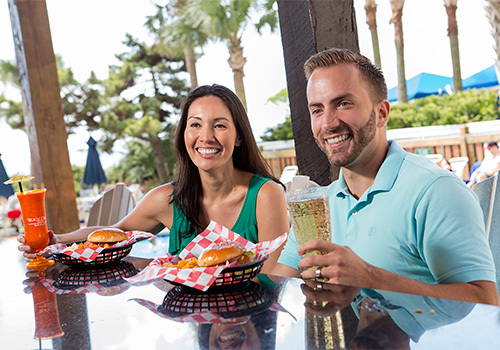 A light menu and refreshing drinks are also served at the Ocean Café and Lounge, and the poolside snack bar and grill serves up delicious food and frozen drinks as well. 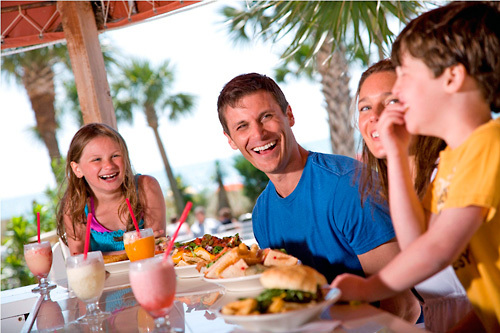 Do you have a minimum age required for check-in at Beach Colony Resort? Do you have any resort fees at this property? 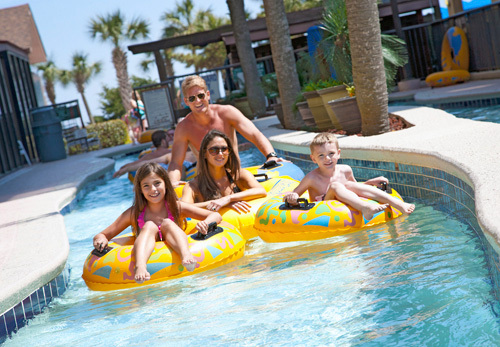 Beach Colony Resort charges a nightly resort fee, due upon check-in. 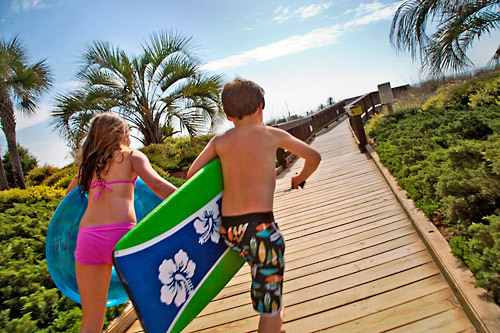 Do you charge for cribs or rollaways at Beach Colony Resort? Cribs are free of charge and available on a first come, first serve basis. Rollaways are not available. 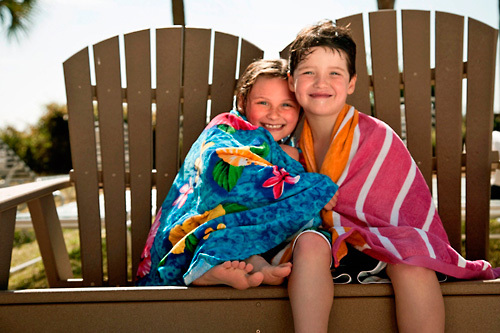 What are the pool hours at Beach Colony Resort? 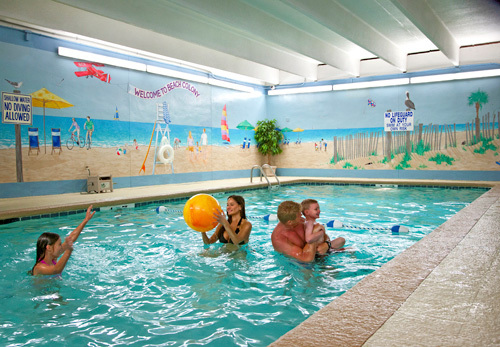 The indoor pool area is open from 8am-11pm. 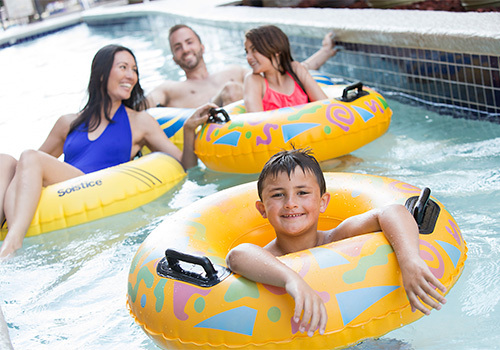 The outdoor pool area is open from 9am-11pm. Hours are seasonal. Yes, all ReserveDirect reservations are guaranteed for late arrival. No, pets are only allowed when assisting guests with disabilities. Yes, all rooms are equipped with FREE wireless internet. How far is Beach Colony from the Myrtle Beach Airport?